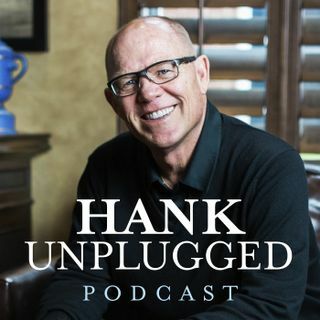 Dr. Holly Ordway went from being a militant atheist professor to a cultural Christian apologist and joins Hank to tell the tale of her journey as well as share her powerful perspective on the role of imagination in apologetics. Ordway is an accomplished author and professor in the Department of Apologetics at Houston Baptist University. If you love language, you are going to love this edition of Hank Unplugged. Topics discussed include: the compelling argument of Mere Christianity (2:00); ... See More Ordway’s transition from militant atheist professor to Christian apologist (3:00); the role of imagination in apologetics (6:55); the importance of hermeneutics, especially when examining the Bible (9:55); the necessity for Christians to be part of a church community in an age of individualism (13:30); verbicide and the significance of correct definitions in the church, taking marriage for example (18:55); the value of church history (22:15); metanoia and understanding that Christian conversion is not merely intellectual assent but a truly transformative process (24:05); conversion testimonies, the process of salvation, and the idea that "I have been saved; I am being saved; and I will be saved." (30:20); the importance of avoiding militaristic mentalities when practicing apologetics (35:20); the human need for beauty and how architecture historically has been designed with the intention of pointing us toward God and bringing us closer to Him (38:25); the problem with atheism is that it doesn’t provide a compelling reason for morality (44:15); the grievous scandal of divisions in Christianity and a context for a healthy ecumenism (48:20); a call for Christians to practice charitable discourse (52:55); church history and the historical view of the Eucharist (55:35); exploring the power of metaphor and the profound importance of understanding metaphors (58:15); the difference between allegory and allegorization and why it matters (1:07:20); understanding the power of cultural apologetics (1:11:55); what a world without objective moral standards would mean for the future of human civilization (1:15:00); the importance of examining and challenging our own paradigms and presuppositions (1:19:00); and the three words every apologist should learn to say: I don’t know (1:21:30).